A 17-year-old dead from a meth overdose at a Palmer party. Protesters in Utqiaġvik – formerly Barrow – marching and chanting "meth is death." Four people banished from the Interior village of Allakaket after reports they gave meth to teens. A new state report documents what those recent news headlines suggest: Methamphetamine is re-emerging in Alaska as a serious public health threat. In the midst of a well-publicized opioid epidemic, health officials warn of the continued destruction of meth. Meth is blamed in 193 overdose deaths from 2008 through 2016, according to the report "Health Impacts of Methamphetamine Use in Alaska." And unlike with heroin and opioids, there is no antidote for an overdose. "Meth has not gone away," said Jay Butler, a physician and Alaska's chief medical officer. "In fact, it's made a bit of a resurgence." The state Division of Public Health highlighted the problem, showing up in other Western states, in the 12-page bulletin released Tuesday. Using a three-year average, the rate of meth-related deaths in Alaska increased four-fold from 2008-10 to 2014-16, the report said. In all, there were 233 meth-related deaths in Alaska from 2008 to 2016, the bulk of which were direct drug overdoses while others were from causes such as drownings or falls while the person was on meth, the report said. During the same period, there were 745 opioid-related deaths, including 700 overdose fatalities, the report said. Meth is an illegal and more potent version of prescription amphetamines commonly used to treat attention-deficit-hyperactivity disorder. It can be manufactured by home chemists and became popular in the early 2000s. Then in 2006 the federal government sharply restricted sales of key ingredients found in over-the-counter medicines, such as Sudafed. For a couple of years, the country's meth problem diminished. "That helped 100 percent with the homegrown U.S. labs producing in a trailer or in a house or whatever," said Mike Root, special agent in charge for the Drug Enforcement Administration's Alaska office. He remembers working 100 home or mobile lab cases a year back in Utah during the meth peak. That dropped to almost nothing. Manufacturers figured out workarounds and dealers began importing meth from Mexico. "It's a lot easier to get the chemicals down there, get them diverted from China or whatever," Root said. "Mexico kinda took over that deficit." Drug agents are working cases, often with the U.S. Postal Service, but know more is getting in. "It used to be if you had a pound of meth – that was a big seizure for Alaska. Now we are seeing, hate to say, 5 pounds and 10 pounds. We're seeing larger and larger quantities, which obviously means there is more out there." And the imported meth is poisoning and killing Alaskans, Butler said. Some people are using both meth and an opioid. They might take meth to give themselves a quick boost or as a self-administered antidote. But unlike the emergency drug naloxone, meth doesn't restart someone's breathing, the doctor said. Instead, meth can cause a stroke or a heart attack, Butler said. "The blood pressure goes up significantly during methamphetamine use," he said. "The heart rate goes up significantly." In 2008, five people died in Alaska from meth overdoses. In 2016, 53 died from meth overdoses and 12 more died from other causes but were using meth at the time, the new report said. During the nine-year span, six people in Alaska committed suicide with meth. Two drowned on meth. Two on meth died after falls. 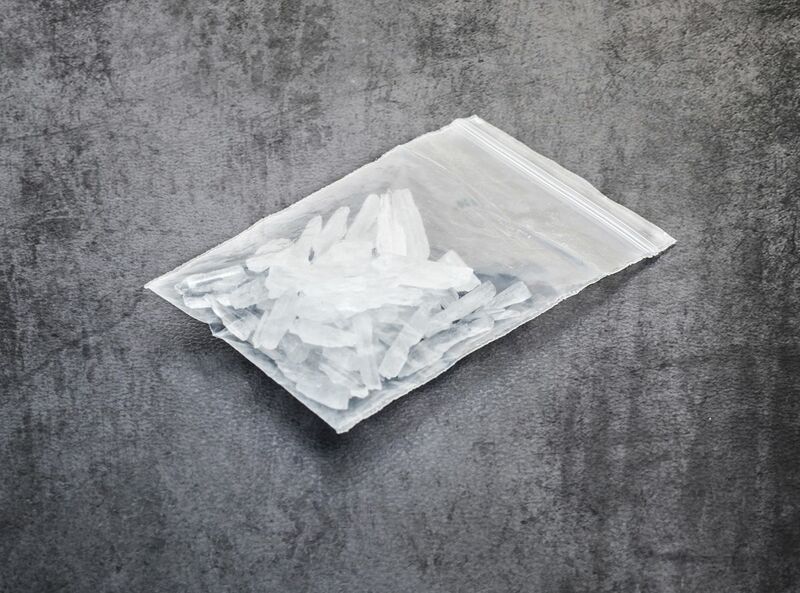 People ages 45-54 were the age group most likely to die on meth, the report said. "The drug is very hard on an aging body," Butler said. Extreme weight loss, paranoia, hallucinations, violent behavior and dental problems known as "meth mouth" all can result. The damage to a user's heart or brain can't be reversed with an antidote, but can be treated. In 2015 and 2016 alone, 200 patients were treated in Alaska hospitals for poisoning from amphetamines, including meth. The average cost for this hospital care? Almost $35,000, according to the state report. Less than 3 percent of regular high school students as of 2015 say they've tried meth, a rate that has been dropping. But for youths locked up, the percentage is far higher. The report points to the need for more education and new public health campaigns to deter people away from drugs, including meth, health officials say. Special efforts now are focused on opioid deterrence but a broader reach is in order, Butler said. The drug of the year will change. "We really need to get into some of those underlying issues of what drives people to use intoxicating substances," he said.